On days from 16th to 17th May 2014 will host the international tournament in netball teams "UNIF Cup". The best futnet clubs from all over the World are coming to Brno and Modřice to perform excellent futnet a play for victory. The company BOTAS, as a proud partner of Czech Futnet Association and the sponsor of this tournament will be on Saturday, May, 16. 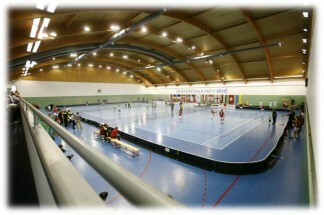 10 to 14 hours in the hall of VUT Brno, Pod Palackého vrchem, Technická 14, 61 200 Brno, offering futnet shoes BOTAS a special tournament prizes.